There are two independent parking garages adjacent to the restaurant. 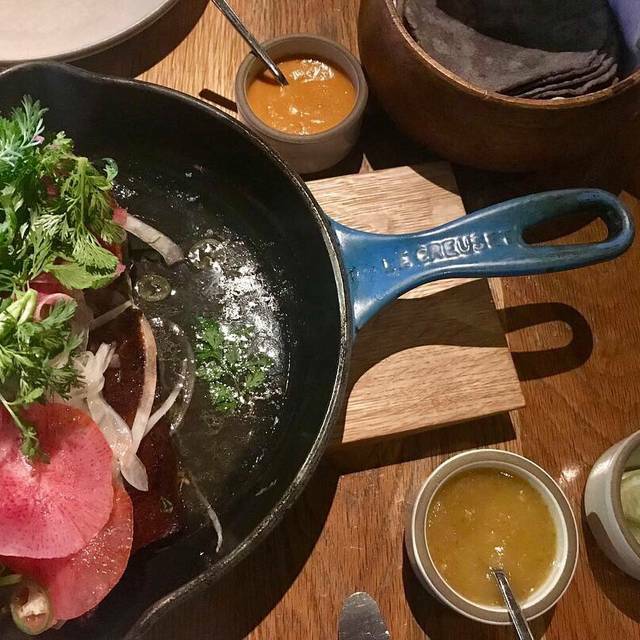 Cosme is a restaurant in New York City’s Flatiron District serving contemporary Mexican-inspired cuisine. 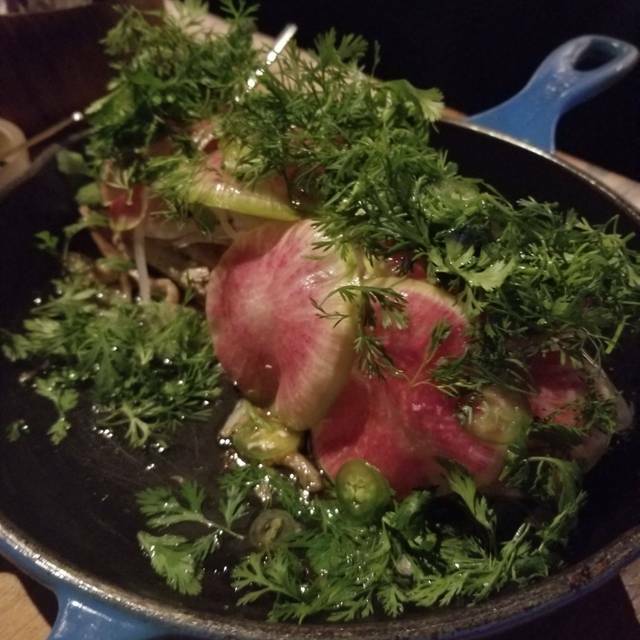 World-renowned Chef Enrique Olvera and Daniela Soto Innes create dishes rooted in Mexican flavors and traditions, while also celebrating local and seasonal ingredients from the Hudson Valley and surrounding region. Adjacent to the main dining room is a separate bar area where guests can enjoy the full menu in a lively atmosphere. Cosme’s beverage program focuses on artisanal spirits and mirrors its cuisine, letting the high quality ingredients shine. Cosme is an upscale Mexican restaurant in Flatiron that’s much more approachable than it appears to be. Another fabulous meal at Cosme. Quote from my guest accurately summarizes “I’ve had hundreds of nice meals in New York. Rarely are they this memorable however”. 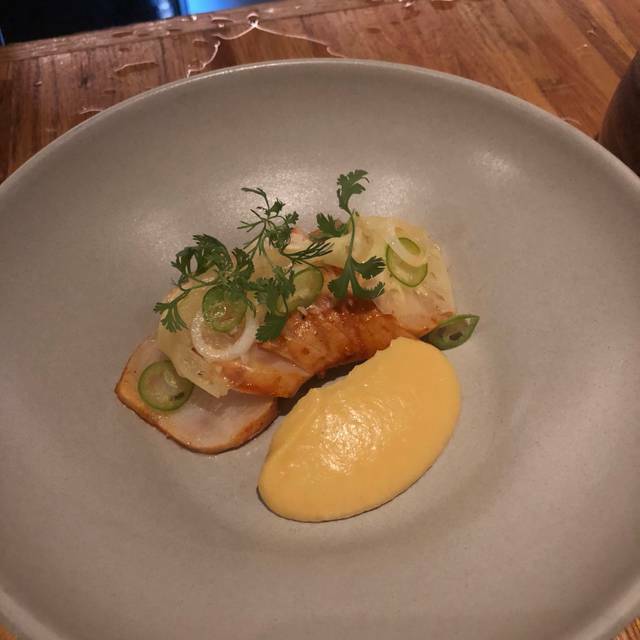 Plates at $90 per person. My party of 5 left hungry and wanted to hit a taco truck. Overhyped and over priced for rude check in which put me in a bad mood for the meal. Food is always excellent. So innovative, creative, and flavorful. Cocktails are also very good. Service is attentive and ambiance is lovely, warm, and comfortable. The menu changes, so there's always something new, which is exciting and fun. The only snag (for me) is that it's written in simple phrases but mostly in Spanish, so you have to ask what each word means, which I find time-consuming every time. Don't leave without having the meringue, which is always on the menu. This time we had mexican chocolate, too, and it was delicious. The food was excellent. We shared a number of dishes and I'd highly recommend doing that to enjoy the diverse tastes available on the menu. I plan on going back soon. Spectacular food. Excellent service. Informal environment. Ingredients are pristine, beautifully prepared, elegantly presented. Flavor profiles might benefit from a stronger point of view, but if that point of view is the artistic presentation of pure component flavors, it’s a big success. Prices are very dear, and should be backed off 10-15% especially at lunch. Loud, expensive, non-existent service @TheDailyServer. Great food in hip, casual environment. Food was outstanding - incredibly flavorful. And excellent drinks (margaritas). However, service was mediocre to bad - hard to get info on dishes, and dishes were repeatedly removed before finished. 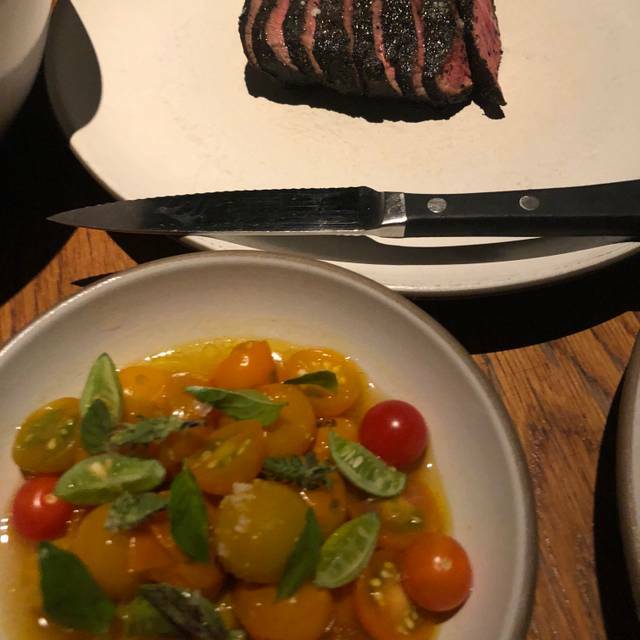 I’m not a foodie, but I have friends who are: they all said that if you adjust for portion size, this is possible the most expensive restaurant in New York. We left after 200 / person in search of food as we were hungry. 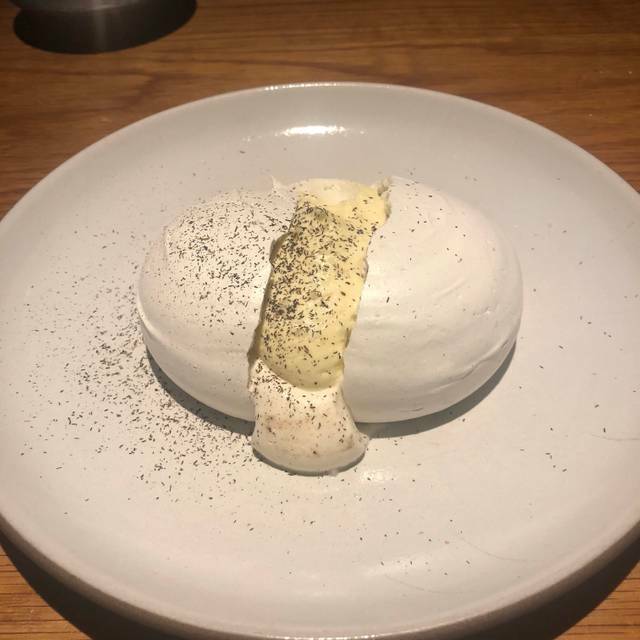 I was very excited to go try Cosme because it was a restaurant owned by Enrique Olivera, a renowned Mexican chef that I follow up on his activity very often. However when I tried some of the plates on the menu, I was not impressed. It may be because I have been to Mexico many times and I have tried the best authentic Mexican food. However I believe if he is willing to put a crab infladita (starter) at $32 then I should have received something more than what was on my plate. The aguachile I has was very good but also very simple. 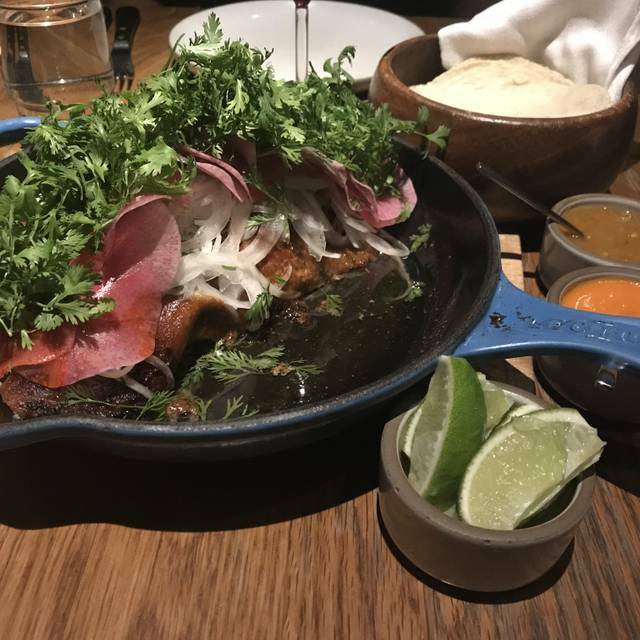 Once we got to the main courses I was a lot more excited because we tried his famous duck carnitas, lamb tacos and glazed veal chop. The duck carnitas was very good but it does have a pricey tag with it $90. The veal chop was a great dish and so were the the lamb tacos, but I guess nothing blew me away. The service wasn’t the best, I felt like the waiters needed to know a little bit more how to explain the plates. I enjoyed talking with the sommelier, he gave good advice on the wine pairing . Amazing food. Beautifully done. Great rendition to Mexican good. This neighborhood gem is a go to for us as often as we can make it happen. The Duck Carnitas are to die for and they definitely showed us a lot of love this past Saturday night. Best staff and we always end up striking up a nice conversation with the neighboring diners because everyone is always in such a great mood to be here. So glad we live nearby! Fantastic. 97% level of the best food in CDMX with it's own personality. Depth of flavor. Great service. One of my fav spots in NYC. Costoso! Yo estaba entusiasmada de ir por ser el restaurante de Enrique Olvera. La comida no fue nada por lo que volveria y el precio fue ridiculo! Los tacos mas costosos de mi vida! On the pricier side but really good high end Mexican food. Deliciosa toda la comida y el personal demasiado amable con nosotras. Nos encantó la tostadita de cangrejo, las carnitas de pato... todo! Súper recomendado para una buena noche en NYC. We found the food excellent, BUT except for the $49 single-serving of duck carnitas. 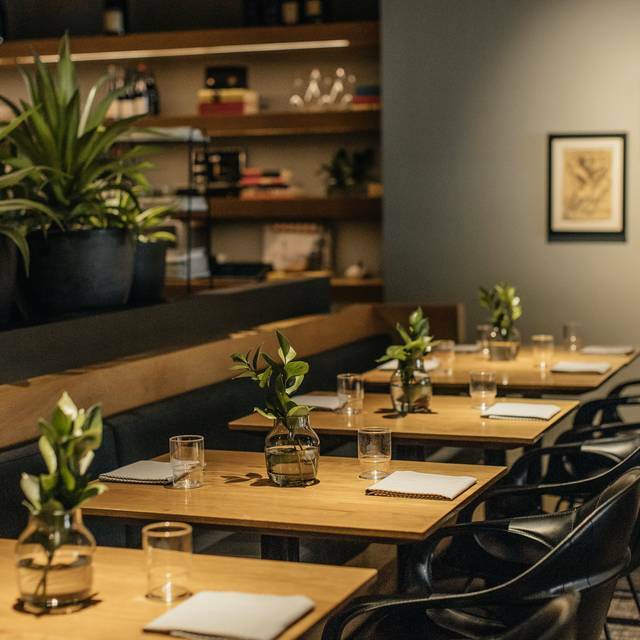 You are likely to leave Cosme still hungry even after spending $65 for lunch! For dessert do try the Husk meringue with corn mousse. BTW duck carnitas (3 servings) was only $59 four years ago. Today it is $89! It's a nice place with delicious food, but fabulously overrated and extremely expensive. I love Cosme! It's incredible every time. The only thing that rivals the wonderful food is the service of the staff. I especially love and recommend the sweet corn tlayuda and lamb belly tacos! The table that I got was incredibly uncomfortable and dirty. Definitively something that I wouldn't expect on a restaurant from this caliber, we were basically sharing the table with the people sitting next to us, I couldn't even focus on my own conversation. The dishes were unimpressive, nothing truly Mexican about the flavors, super small portions and very very expensive. I was only happy with the duck carnitas. Cocktails were good. I think it is overrated. Service was very poor, the people who were seating us were confused several times if they will sit us in the next 5 or 15 minutes. Also menu is very limited . It is not Mexican- as they say it is fusion. Nothing we ate left a memory in our palate. Please note i traveled all around the world and tasted from the most authentic food to fusion. Have been in many restaurants from the most local to the fanciest. 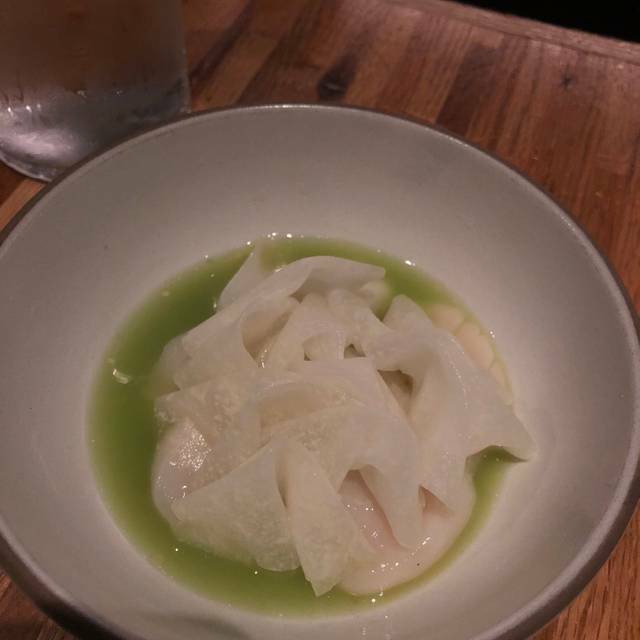 So Cosme does not worth it, unless you are at your 20s and want to go somewhere what they call "hip"..
Great food and service. Nice that we could hear ourselves during lunch. A Culinary experience with exceptional service. The food is delicious--makes dinning an adventure. I have eaten here before and loved it. Tonight I was not thrilled with the service ....very pushy and you had not even chewed your last bite and the plates were takeaway and you were immediately asked what you wanted to order next. Gave the waiter several hints we wanted time to enjoy but he never listened. 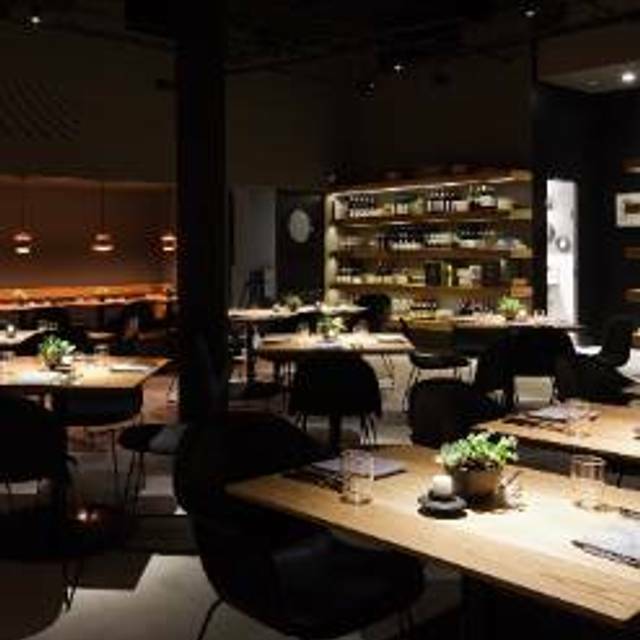 I love the food, ambiance, and decor at Cosme but I have to complain about the rushed service! At this price, you should not expect to be served and rushed out after 30-45 minutes. For $300 plus a couple, I expect more care and not to feel like the dishes are being ripped out from under you while you're still chewing your last bite. definitely doesn't hit the mark, especially holding the 25th best restaurant in the world spot! The food was really fantastic although pricey for the quantities. The service was good by American standards but the music was too loud and and not really fitting for a gastronomic restaurant, which made the atmosphere inadequate. Trying to be cool and trendy when the focus could be on the food. The food was absolutely amazing but the service was very lacking considering that this is a fine dining institution. We had been so excited to dinner here, but were very disappointed. For the price, this restaurant should deliver on everything, and it fell short in several areas. The services was terrible. It took a while to order a drink, as the server was in a conversation with another staff member. We ordered the shrimp tostada, which just wasn't good. We almost ordered the tamal, but then decided not to. It came anyway. Not only that, but it came with a long hair in it. We let the server know. He took it away with no feedback or sympathy. We said we didn't need another one, but that came anyway too. (We didn't even order it to begin with.) Another dish had a smaller hair in it. We were so bummed. The horn his merengue was amazing, as was the fish with pineapple puree. Again, for the price, you have to be in point. This restaurant failed on several fronts.